Need ideas for adorable quilted holiday gifts? This FREE eBook contains cute projects and heartwarming keepsake quilts for family, friends, and even pets! 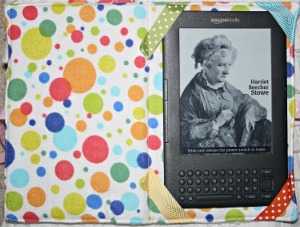 Check out this Last Minute Gift Kindle Cover for a quick quilted gift idea that is great for any Kindle owner. Follow this easy guide to learn how to properly iron together your layer of soft cotton to downy fleece. You can use a multitude of your own scrap quilt patterns create a colorful design for a hexagon flower quilt pattern and choose an assortment of pretty ribbons to complete this useful and unique Kindle cover. This small quilted gift only takes about an hour to complete and is the perfect present for all ages. 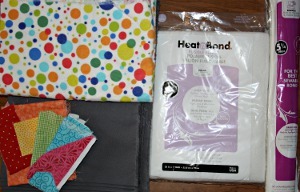 Gather supplies, cut a piece of solid, flannel and HeatNBond Fusible fleece 12″x 8.5″. Iron the fleece to the inside of the Solid cotton. Apply Heat N Bond lite to your 7 scraps of fabric. 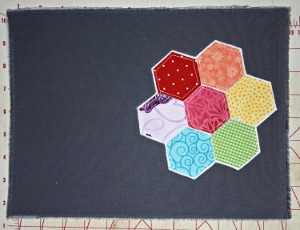 Cut out Hexagons, apply to the Sew in Fleece and sew around all edges at 1/8″. Cut close to the edges leaving a small white space around the edge. 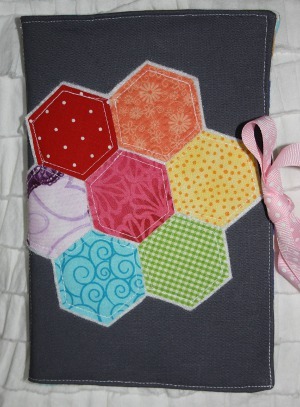 Sew your hexagons to the front cover of your case. Select 4 different ribbons for the corners, these will hold your device in place. Sew them down 2″ over on each side. Select another ribbon for your ties and cut 2 12″ pieces, place them in the middle of the 8.5″ side. Sew the cover to the inside facing together making sure you catch the ribbon pieces. Remember to leave a 3″ opening for turning. Turn your case so both of the outsides are facing out, this is where you insert the chipboard pieces, 2 5″x8″ chipboard pieces, one for each side. Stitch up your 3 inch opening and top stitch. Sew down the center catching the loose ribbons on the inside.